Manage your accounts from anywhere. Online Banking provides access to your corporate deposit accounts from your home or office. For business customers that process ACH or Wires through online banking, you will have to register your token the first time you log in. For security purposes ACH/Wire activity is done in dual control. One user will set up and initiate the transaction. Then another user signs in and approves the transaction using the code that is generated on the token. 3. During the sign on process for Online Banking on your computer, the system will ask if you have received or installed your secure token. Answer yes. 4. Click to open the App on your phone/mobile device. You are going to be asked to enter some information from the app onto your computer. 5. The system will ask for the Serial Number. This is the Credential ID on your App, and will be the number at the top; it will be the one that does not change. 6. It will then ask for Key Fob token code. 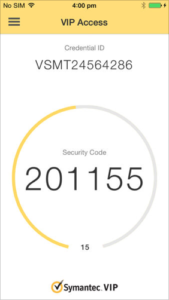 This is the Security Code on your App, which is the number that changes every 30 seconds. If it is getting ready to change, then let it and type in the next Security Code that comes up. You have now installed and activated your token! You will need it every time you sign in to your Online Banking. If you get a new phone/mobile device, you will need to notify us. A new phone or mobile device is like getting a new token, so we will need to reset your online banking so the new token Credential ID number can be added. Log in to your online banking account like normal. 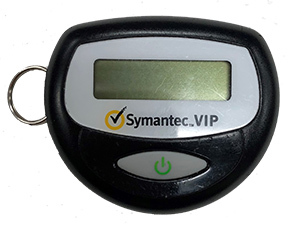 You will be prompted to register your token serial number or credential ID. You will then be prompted for a token code. Press the button on the front of your token to generate the code and enter it on the Activation Screen. Once your activation is successful, you can begin using your token. You have now installed and activated your token! You will need it every time you sign in to your Online Banking. 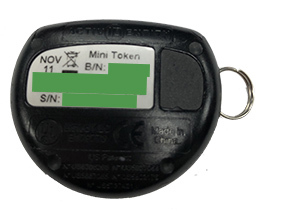 If you lose your token, you will need to notify us immediately.